I’m going to Melbourne at the end of this month to see Queen at Rod Laver Arena. See what the new singer is like. Saw one video but sound was not very good. Stray Cats video – did the woman in the short pink dress have undies on? Body stocking maybe! Hard to say. did seem to flash anything except a bit of leg though. Lovely choices. I’ll be listening and jiggling too no doubt. Lonely Boy – dancing man does it for me ! He didn’t stop did he. Liked that one a lot. Indeed it is shoe and plenty of it when I looked for the picture. 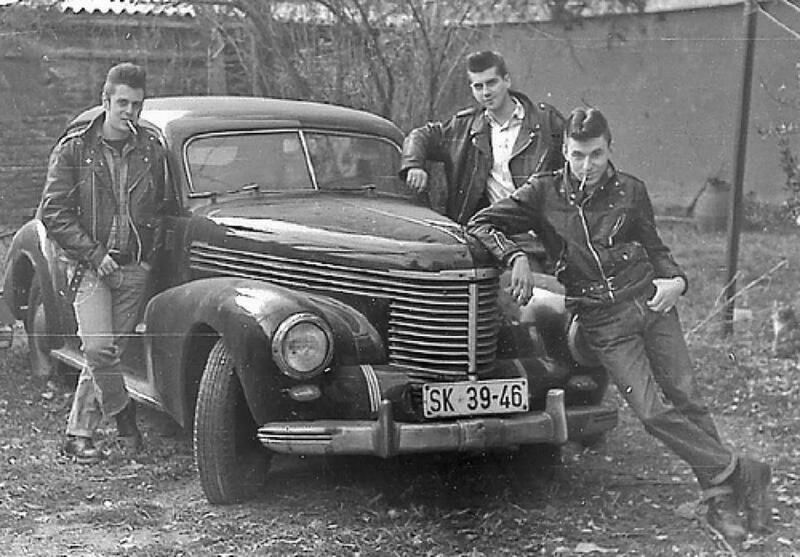 The car did for me complete with the greasers. I bought some socks of the colours we used to call ‘fluorescent’ a couple of months ago. Searched them out on ebay. Good times to be had then. The corn flakes packet could be applied to most taxi drivers around the city I reckon. I’ve become a fan of Johnny Cash more recently, and this choice is right up there with my favourites. Very good Alge, it starts well with Johnny Cash and keeps it’s promise: a good show. That’s the way to do it Helvi, The beginning is very much rockabilly towards the end mostly influenced. How cool is this set, Algy ! Many thanks. Lots of really good tunes – but the Cats are still my favourites ! Nice Eddie Cochran and Shakin Stevens clips too ! Its one genre I haven’t put a list together with Therese, Lots of good stuff here, one I really enjoyed here was The Meteors. Hey. Dem’s the guys that stole my car. Reminds me of the old car we used to play in on the vacant block when we were kids, It had no doors and not much of a roof.